Ideal portable soccer tennis net for fun and challenging soccer tennis and head tennis training games. Available in 10ft, 20ft and 30ft lengths. 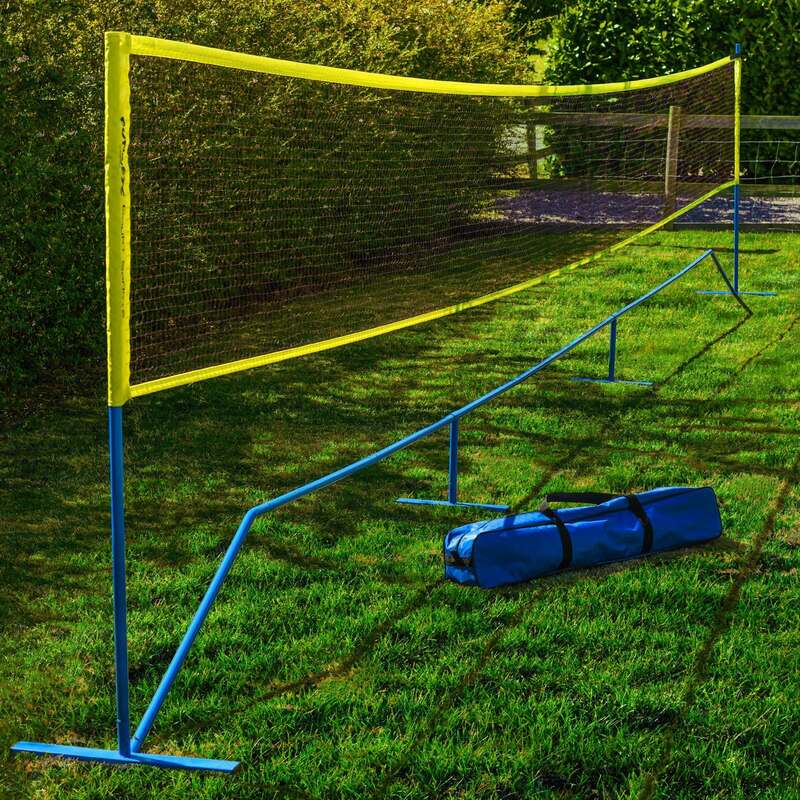 Enjoy Games Of Football Tennis or Foot-Volleyball at Home Or On The Go! Up the challenge in an instant with the simple removal/addition of a single post. The set comprises of posts, net, and carry bag for ultra-portability & unrivalled value for money. Net frame & high-vis material break the rules. Tough as nails, yet remarkably lightweight. Soccer Tennis Net - A Fun Way To Train & Improve Your Game! If you're looking for a enjoyable way to train the team and improve that crucial first touch, or whether you're looking for an easy way of keeping the kids entertained in the backyard, the Soccer Tennis Net will more than suffice. Mix it up in training sessions with the net and make it a challenge! It's perfect for improving several aspects of a player's aerial game such as heading, volleys, first touch control & skill moves. A training method used by Premier League, MLS and International sides; it's a tried and tested piece of equipment ideal for players & teams of any skill level. The net & post combo is easy to assemble, takedown, and store thanks to its super-lightweight material and handy carry bag which is able to store the entire contents of the package - easy to transport to and from training or on those fun family day's out. 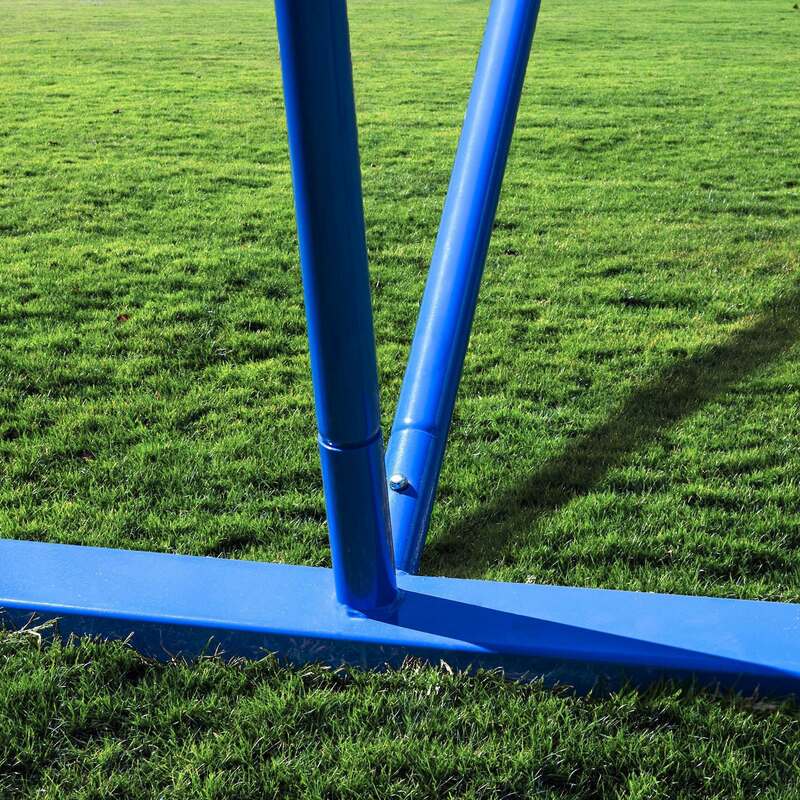 An added bonus (and a more difficult challenge) is that the net height can be raised from 2.6ft to 5ft high by the simple addition of a few (included) posts for a session of Soccer volleyball. Kids love this product. Worth the value when kids are having fun. They use it for soccer tennis ,volley ball and anything else that they can figure out.Very well made,stromg and sturdy. Q - will this fit in the boot of a car? Q - Set up time? Thank you very much for your inquiry. The set up of this would take approximately 10 minutes to set up and could fit in an average sized boot. If you have any further questions, please contact us at sales@networldsports.com.